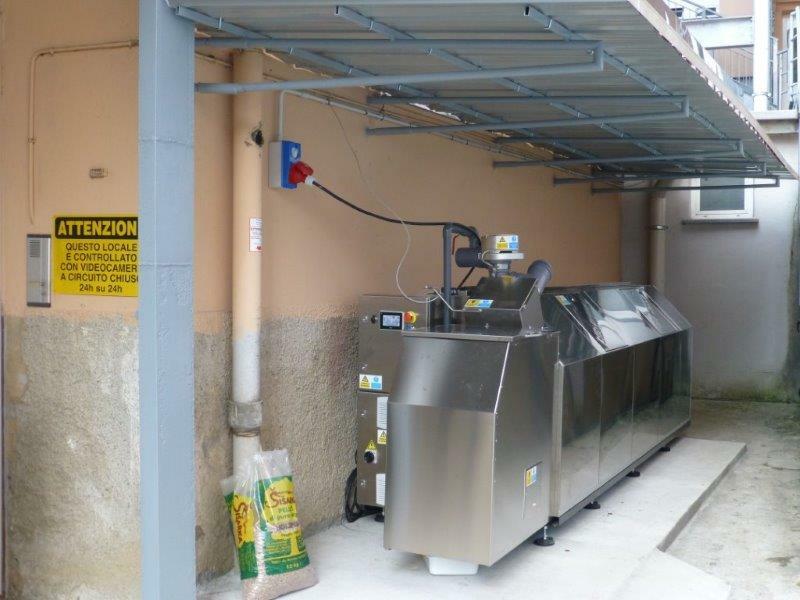 During the autumn 2015 The Development Agency GAL Genovese Srl acquired three Big Hanna composters model T120_40L. The project was partly financed by ENPI (European Neighbourhood and Partnership Instrument) and SCOW (Selective collection of the organic waste in tourist areas). The aim of the project ENPI-SCOW is to develop effective management systems to turn biodegradable waste into compost. To remove organic waste from the urban waste cycle is desirable since it contributes to the total reduction. It also follows the indicated regulations stated by the EU-treaty. Composting is one of the suggested key actions to reduce waste production. 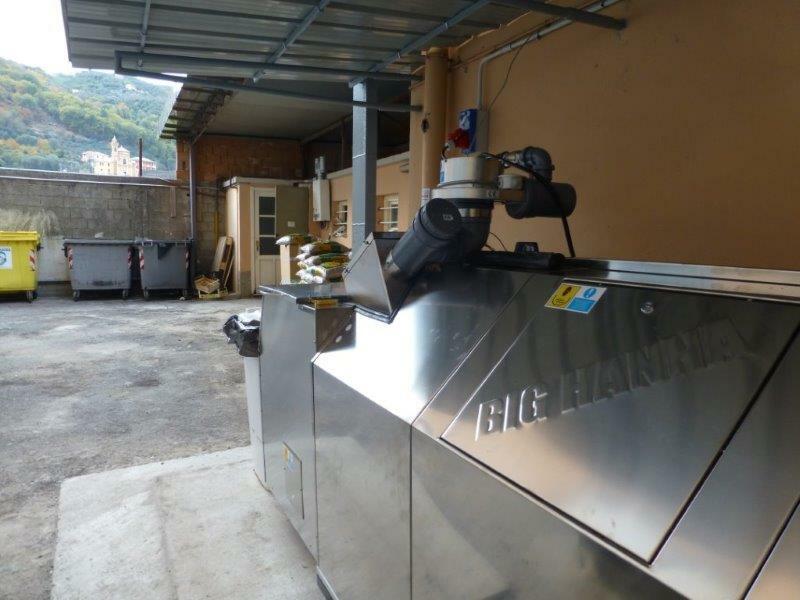 The three composters from Big Hanna were delivered and installed during November and early December and placed at two schools and one municipality in the Province of Genoa. The composters will promote the production and use of mature high quality compost as fertilizer for agriculture and plants within the local area. One of the composters is placed at a school at Centro San Salvatore in the village Villaggio del Ragazzo. The composter is installed on the school premises close to the kitchen and is managed by the kitchen staff. They load the composter with kitchen scraps and leftovers from the preparation of meals in the school canteen. Thanks to careful protocols at the school the waste is kept to a minimum. Thus the machine is loaded daily with about 30-50 kg of food waste and pellets. The produced compost will be used at the gardens and green areas inside the school, but also in the garden and sports fields in the surroundings. Through an Ethernet connection with the school’s internal network the machine is accessible on a remote system. This enable the management to constantly monitor the temperature of the internal process, the operating parameters and daily reports on activities in real time. 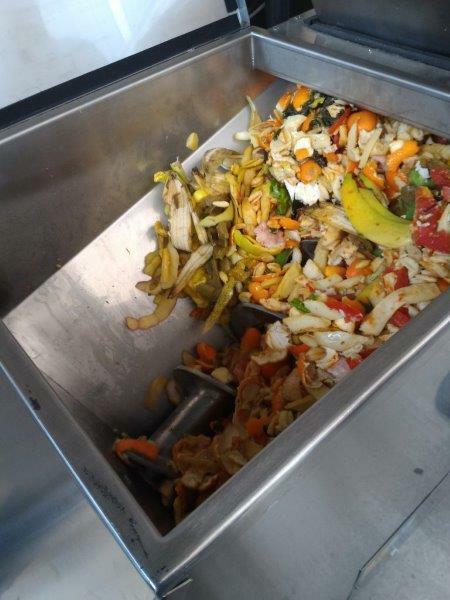 A second machine was installed at the Marco Polo hotel school in Genoa and the composter is managed by the kitchen staff. The machine is loaded daily with 50-70 kg of food scraps plus pellets, and the compost output will be used on the green areas at the school. The third composter is currently under an evaluation process by the authorities of the Metropolitan City of Genoa. It will be installed as a trial project at the City of Ne, where it will be used to treat organic waste collected from about 400 citizens. All three machines are equipped with a loading hopper and a biofilter. The biofilter reduces the odorous emissions which are naturally generated by the composting process. The machines are also equipped with a digital touch screen display, a more accessible interface that facilitates operation and remote control through a network connection with router and a SIM card. The start-up of the first two machines have been very positive. Our reports show good management, excellent process temperatures and a consequent reduction of organic mass inside.